What is Varnish and What Does It Do? Varnish is a transparent hard coating that provides protection for solid wood furniture. It is applied over the stain on wood furniture. 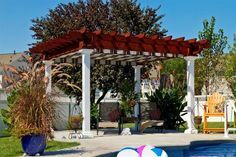 As the varnish protects the wood from moisture, sunlight and dirt, it allows the wood’s natural colors and grain patterns to be seen and appreciated and creates the most natural appearance. Varnish is always recommended for inside furniture for an added layer of protection. Low Sheen Varnish: Also known as Matte Varnish and has a 10% sheen. Standard Varnish: Also known as Semi-Gloss Varnish and has a 30% sheen. High Gloss (which we do not offer at DutchCrafters) has a 60% sheen and is glossy enough to see your reflection in it. The higher the sheen percentage, the glossier the finish. 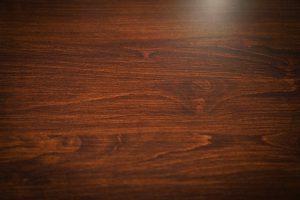 How Does Low Sheen Varnish Look on Wood Furniture? 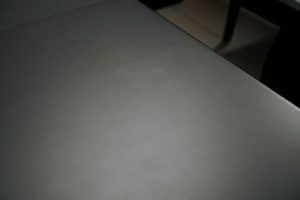 The concern with low sheen varnish is that when it is used on a dark finish, it can appear dull and flat and actually create a hazy, dusty look. It’s not the best choice for an elegant finish on dark wood. 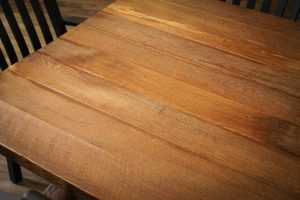 We do not recommend a low sheen varnish on a dining room table that is the centerpiece of the room. 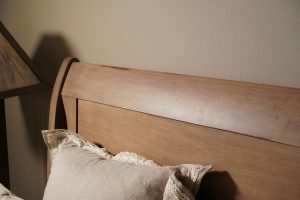 For a lighter table that’s not at the center of things or for light colored bedroom furniture kept in more private quarters, a low sheen varnish is fine. 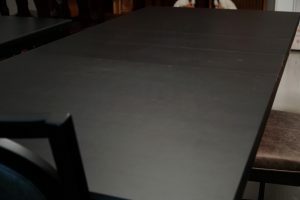 Image of a dining table with a dark finish and low sheen varnish. The low sheen creates a hazy appearance and fingerprints will show. 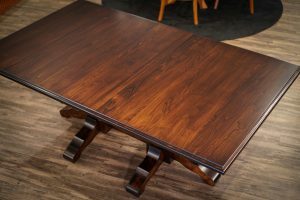 This dining table doesn’t show the detail of the wood grain with a dark stain and low sheen varnish. Barnwood with a low sheen varnish works fine. The Transitions Sleigh Bed by Keystone features light colored wood with low sheen varnish. There’s often a concern that standard varnish will look too shiny and that there will be a lot of reflection or glare and therefore, low sheen varnish would look better. It doesn’t. Standard varnish creates a smooth finish that’s a little shiny but not glossy. Standard varnish is not like a urethane or lacquer. It is more like a satin finish. You will not get a mirrored reflection. With standard varnish you can easily get to see the wood grain better as it enhances the beauty of the wood on all finishes, light or dark. 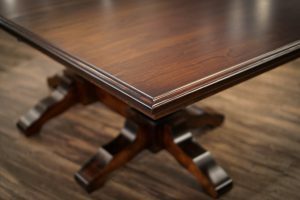 The Kingston Dining Table wears a standard varnish beautifully. Standard varnish on the Kingston offers a smooth finish that’s a little shiny, but not too glossy. The wood grain pattern is easy to see in standard varnish. You are the best judge of what look you like. We always recommend you order samples that you can see up close to get a good idea of how low sheen varnish and standard varnish compare. 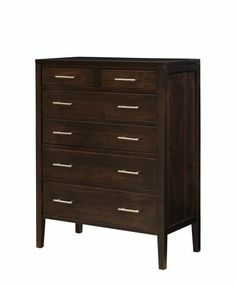 What sheen is best on painted brown maple? Low or Standard? Thank you for your question. 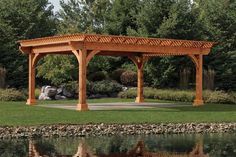 If you’d like to use a varnish on painted brown maple, we would recommend standard varnish. Using a low sheen varnish on paint could appear hazy or chalky. Standard varnish would be best.